Time to hone your online presence. Choose which networks best meet your social media goals. If you don’t already have social media profiles on each network you focus on, build them from the ground up with your broader goals and audience in mind. If you do have existing accounts, it’s time to update and refine them to get the best possible results. Optimizing profiles for SEO can help generate more web traffic to your online properties. Cross-promoting social accounts can extend the reach of content. 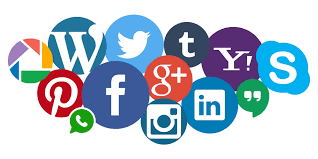 In general, social media profiles should be filled out completely, and images and text should be optimized for the social network in question. These one-sentence declarations will help you focus on a very specific goal for Instagram, Facebook, or any other social network. They will guide your actions and help steer you back on track if your efforts begin to lag. Take the time you need to determine the purpose of every social profile you have. If you can’t figure out its purpose, you should probably delete that profile. Also figure out who is in that network and determine who you are talking to. This is also very useful if you decide to source out your social media. Not sure what kinds of content and information will get you the most engagement? For inspiration, look to what others in your industry are sharing and use social media listening to see how you can distinguish yourself from competitors and appeal to prospects they might be missing. Consumers can also offer social media inspiration, not only through the content that they share but in the way that they phrase their messages. See how your target audience writes Tweets, and strive to mimic that style. Also learn their habits—when they share and why—and use that as a basis for your social media marketing plan. A final source of social media inspiration is industry leaders. There are giants who do an incredible job of social media marketing, from Red Bull and Taco Bell to KLM Airlines and Tangerine Bank. Companies in every industry imaginable have managed to distinguish themselves through advanced social media strategies. Follow them and learn everything you can. See if they’ve shared any social media advice or insight elsewhere on the web. Having great content to share will be essential to succeeding at social media. Your social media marketing plan should include a content marketing plan, comprised of strategies for content creation and content curation, as well as an editorial calendar. Your editorial calendar lists the dates and times you intend to publish blogs, Instagram and Facebook posts, Tweets, and other content you plan to use during your social media campaigns. Create the calendar and then schedule your messaging in advance rather than updating constantly throughout the day. This gives you the opportunity to work hard on the language and format of these messages rather than writing them on the fly whenever you have time. Be spontaneous with your engagement and customer service rather than your content. Record and analyze your successes and failures, and then adjust your social media marketing plan in response. Surveys are also a great way to gauge success—online and offline. Ask your social media followers, email list, and website visitors how you’re doing on social media. This direct approach is often very effective. Then ask your offline customers if social media had a role in their purchasing. This insight might prove invaluable when you look for areas to improve.